What Say You Disney Experts? 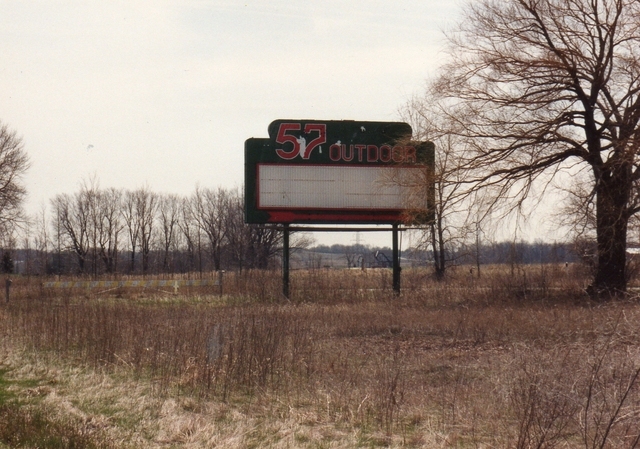 Here's one for Disney detectives: What, When, How, and Why was Drive-In Frivolities? Such a thing would have gone unknown to me if not for this ad turning up. I'd place the date around 1953-54, time enough for The Quiet Man to complete first-runs and make its way to outdoor screens (in some areas, of course, drive-ins were The Quiet Man's first-run). Anyway, Drive-In Frivolities is obviously something Disney put together in recognition of huge gains made by ozoners as exhibition sites. They were headed for a peak and sprung like weeds in even smallest communities. Certainly it was cheaper throwing up a screen and booth than to lay brick or retrofit a storefront. Folks with a roadside cow pasture could go into show business overnight. Drive-In Frivolities wasn't Mom and Pop's idea of a cartoon filler. 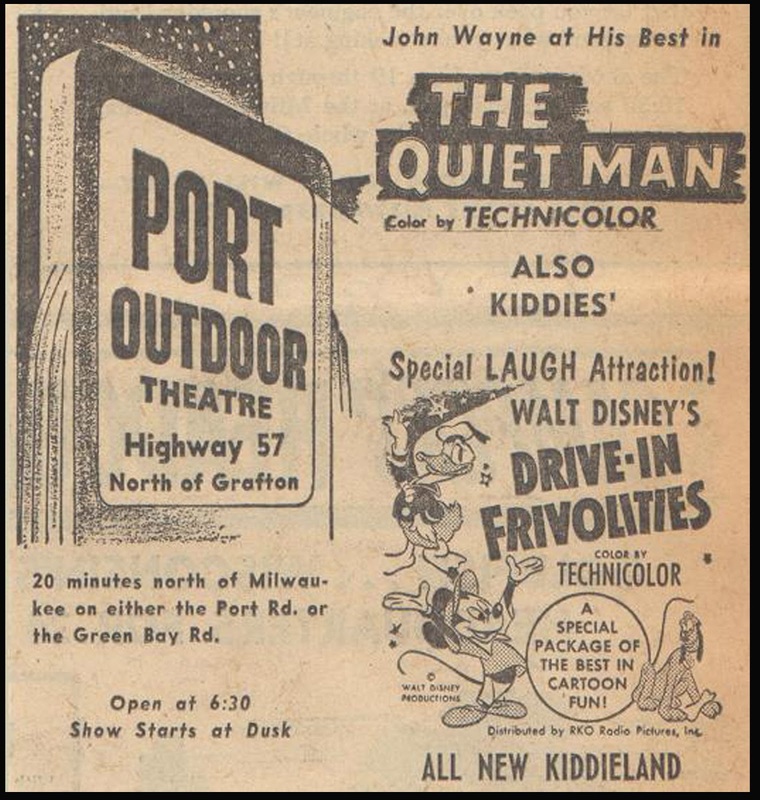 This ad art as Disney supplied came from a pressbook or at the least a sheet or slick, so questions: How long was a typical Drive-In Frivolities program? Was it made up of random cartoons from the RKO exchange? And most importantly, did Disney do special wraparounds of original content for Drive-In Frivolities? This may warrant archival peer into vaults for footage unknown or forgotten over a last sixty years. Check this 1943 hand program from Argentina. This was a movie theater that only played newsreels and cartoons. Mickey seems to be proposing to Betty Boop in that Argentinian ad. By the way, I never thought I'd see Mickey and Hitler on the same bill. I'm only guessing, but based on the art, I'd say two of the cartoons are Two Chips and a Miss with Chip and Dale, and The Simple Things, which is the last theatrical Mickey Mouse cartoon. No descriptions, but I'd be very surprised if they produced new linking material -- Disney would have almost certainly used it elsewhere since then (perhaps on the TV show). "Attraction" and "Package" can mean anything when it comes to length: a pair of shorts or an hour plus, depending on what the exhibitor is willing to rent. And the ad/poster artwork doesn't sell specific shorts so much as it does familiar characters, like the generic animation studio posters showcsing a mob of characters. That all points to your idea of random shorts.